Citrus Park Mall in Tampa, FL is a beautiful, upscale shopping mall with a Main Street USA theme, so it has one level and is very easy to get around. The store fronts are two stories high and everything is indoors. The anchor stores include JC Penneys, Burdines, Dillards, and Sears. It's more than 6 football fields long and has over a million square feet of space. There is an indoor playground for the kids, plus a 20-screen movie theater. The phone number for the movie theater is (813) 920-9471 and it costs $8.00. 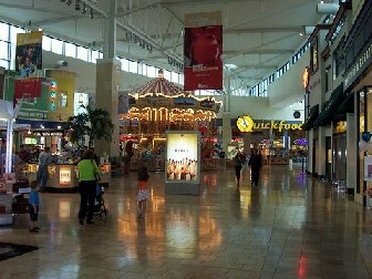 Citrus Park Mall in Tampa, FL has wonderful dining with Johnny Rockets and Rice & Company, plus a food court with A and W, Cafe California, Chick-fil-a, Frullati Cafe, Kelly's Cajun Grill, Little Tokyo, Master Wok, Pepe's, Steak Escape and Villa Pizza. 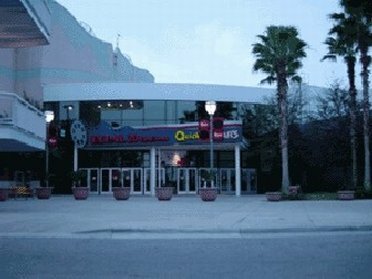 Citrus Park Mall in Tampa, FL is open Monday through Saturday from 10:00 in the morning till 9:00 in the evening, and on Sunday from 12:00 pm till 6:00 pm. Sears and JC Penneys have the same hours. To get to Citrus Park Mall in Tampa, FL, take the Veterans Expressway to Gunn Highway.